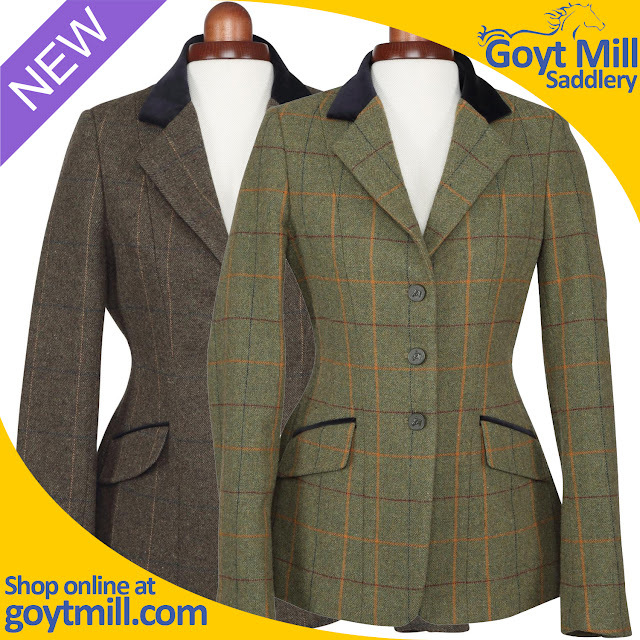 The Shires Aubrion Saratoga Jacket is a traditional classic show jacket with a fresh, modern fit in wool mix tweed checks. Style detail: tailored to flatter, velvet trim collar and pockets, double rear vents, horse button details, two flap pockets, pheasant print lining, Aubrion brand. Childs version has double fastening for boys or girls.